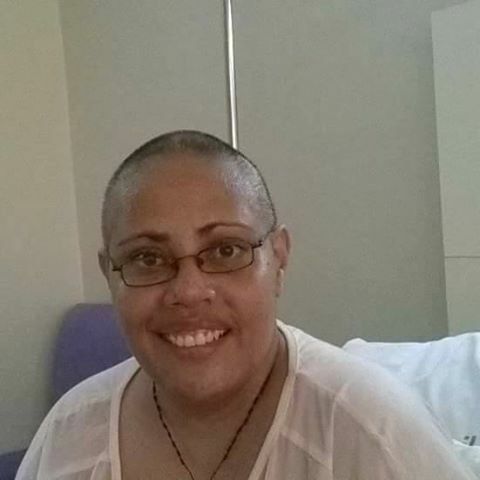 Another Papua New Guinean woman has succumbed to cervical cancer while waiting for radiotherapy treatment. 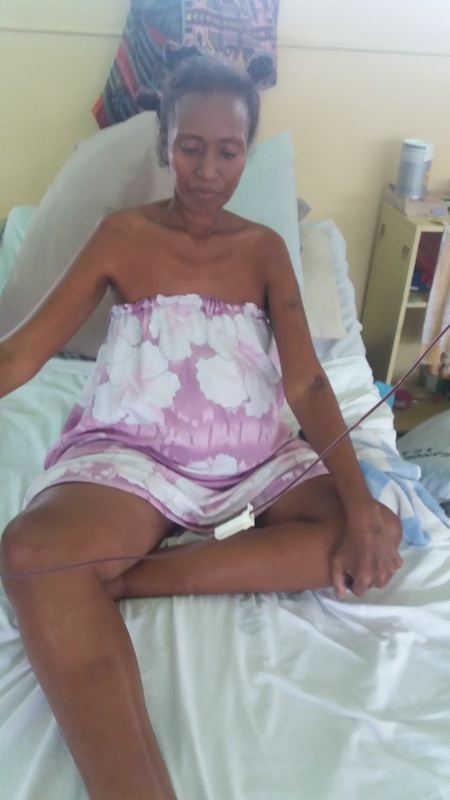 Thirty-nine year old Late Winnie Mou Solien from Gaire in Central province is a mother of five children, all between the ages of 3 and 16 years old. 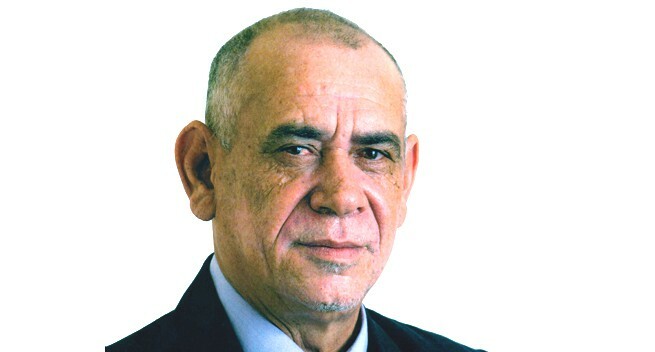 According to her medical report presented by Dr David Kundi, Radiation Oncology Registrar at ANGAU, Winnie was referred to the Radiotherapy and Oncology Depart of ANGAU Memorial Hospital in Lae for adjuvant chemo-radiotherapy after she underwent radical hysterectomy at the Port Moresby General Hospital. She was initially seen at PMGH on the 26th of May 2016 at 40 weeks gestation of 6th pregnancy with an antepartum hemorrhage (genital bleeding during pregnancy from the 28th week) which eventually turned out to be cancer of the cervix. Histology reports from the surgical specimen showed sections of well differentiated squamous cell carcinoma (SCC), with perivascular involvement. Vaginal curf free of tumor and sections of lymph node showed 1 out of 3 tumor metastasis. Winnie was referred to ANGAU on the 22nd November 2016 and she was presented to the the Radiotherapy (RT) and Oncology department clinic on the 2nd of December 2016. She was seen by the radiation oncologist and she was planned for radiotherapy treatment (External Beam Radiotherapy). Due to influx of patients during the month of November and December, the list of patients undergoing radiotherapy at ANGAU was full. Hence, she was booked to commence her treatment on the 4th January 2017. "We resumed her radiotherapy on the 4th of January 2017. Our treatment was definitive radiotherapy. She was prescribed a total dose of 50.4Gy in 28 fraction External Beam Radiotherapy (EBRT). 4 field technique using Cobalt 60 machine", the medical report stated. According to Post Courier report dated February 2nd 2017, Doctor John Niblett, the only radiation oncologist currently in PNG, the late stage two of cervical cancer is not curative through surgery. He says if surgery is done, the cancer will come back. Dr Niblett said radiation therapy of cervical cancer at stage two is 60% curable. stage three is 35-45% curable and stage four is 15% curable. Winnie's family were trying their best to raise K50,000 for urgent overseas radiation treatment when she passed on in Port Moresby. In 2015, Jacinta Tetiera, who suffered from stage 3B cervical cancer wrote a letter to the Health Minister Michael Malabag for urgent attention into funding and operation the Cancer Treatment facility at ANGAU Hospital. Below are extracts from Jacinta's letter to the Health Minister, which to date no efforts have been made to fix this probelm. "Who then should be held accountable for this negligence? We hear every day about how cervical cancer takes lives of hundreds of women each year so what then is the Government doing about it? Before the Department of Health hides behind it’s so called protocols and procedures, maybe someone high up should make their way down to Angau’s Cancer Unit to see for themselves how their lack of action is decreasing the life span of cancer patients. It is so easy to turn and look the other way when it is not your family member that is affected by a life threatening illness that can be effectively treated with the right equipment, medication and care. Those of you in The Health Department that are placed in positions that give you the power need to make a difference in the lives of ordinary Papua New Guineans. Many have to travel miles and miles to seek medical treatment or are sent from their home provinces to major hospitals for months and months just so that a mother, wife or sister does not succumb to the many gynaecological diseases that women in PNG face. The challenge is there; you either take it or let someone else take on the challenge. I pay my taxes like every good citizen is supposed to, taxes that are too high, and with the high standard of living it becomes quite difficult to put aside large savings for rainy days. It bothers me to think that year in year out the government collects millions, in tax payer’s money and yet take a look at the public amenities that we are entitled to. Why do we even bother to pay our taxes? Unfortunately it is the law and we must abide by the law, as it is what governs our country. Of course we hear about new hospital wings or new classrooms being built or million kina road projects, the issue is not about new ward wings, school buildings or new road projects; it is about the upkeep, the maintenance of these public amenities that should be brought into light. I call on the Minister of Health to look into this; Sir what if it was your wife, daughter, sister or mother, what would you do? I guess it is easier for you because you would have the funds readily available to send your loved ones overseas. What about the rest of us?? Every day Papua New Guinean women; someone’s mother, wife, sister, grandmother… What do we do? I am currently in a daunting position. I cannot have an operation to remove the cancer that continues to grow inside me unless I receive radiotherapy to reduce its size. The longer I go without the correct medical treatment the more the cancer will continue to grow and spread throughout my body. I have received countless blood transfusions in a short period of time, I am praying and hoping that the simulator will be fixed so that I just like many other people waiting, praying and hoping can receive the vital treatment we so desperately require. If it isn’t the cervical cancer that kills me first it will most likely be my internal organs shutting down as my haemoglobin levels continue to drop, and the lack of oxygen being carried throughout my body will be insufficient due to the very low red blood cell count.﻿﻿﻿﻿"
Unfortunately Jacinta succumbed to the deadly disease in November 2016 while waiting for radiotherapy treatment, the same treatment that Winnie was suppose to get until her death. Lets save the lives of our PNG women!